This entry was posted on January 24, 2011 by Russell Smith. 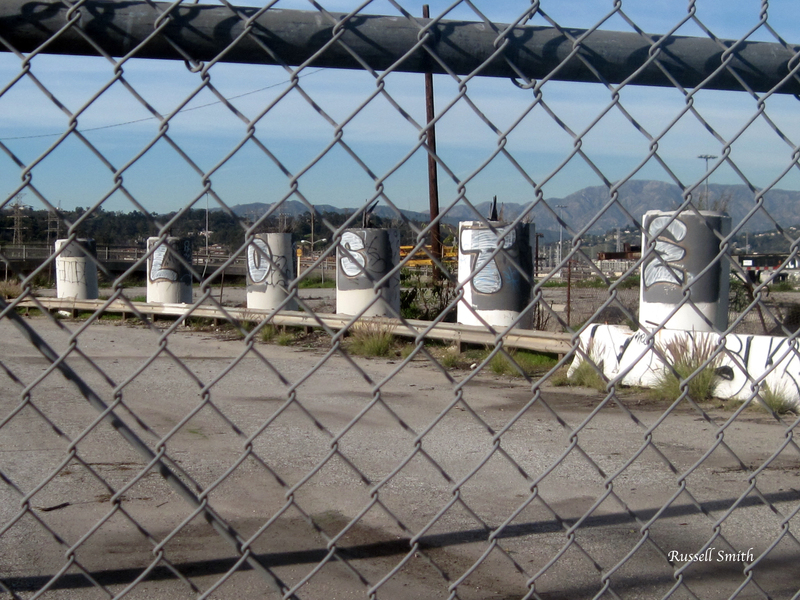 It was filed under Artwork, Nature, Urban and was tagged with Angeles National Forest, chain link fencing, fence, graffiti, paint, postaday2011, train yard, trainyard. NEAR THE LOSTE POINTE ARMS. yep i really dig this one! !